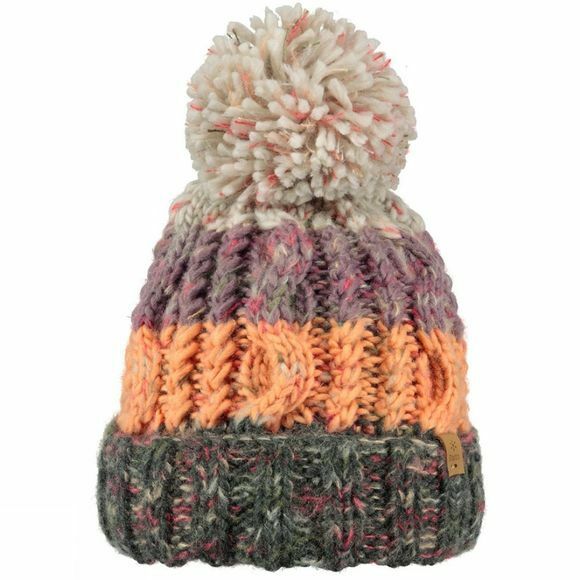 Barts Sandy Beanie is an excellent addition for cold days, keeping you warm and snug. With Pom Pom detailing and a chunky knit, its in fashion whilst still feeling great. The fleece lining keeps the heat in and makes sure you're comfortable, all day long!